Welcome to what can only be described as one of the Best Ford Ranger Wildtraks for sale in the UK! 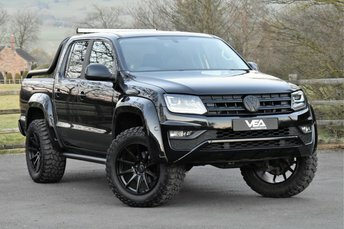 Complete bespoke conversion by VEA Automotive. Sitting wider, taller and completely redefined! Presented in Panther Black the size of this thing beggar's belief and dwarfs a standard vehicle! 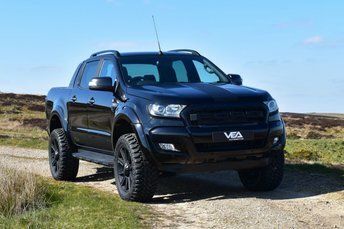 Boasting a completely remodelled Vea interior, Vea Bespoke 20inch alloy wheels wrapped in mud plugging tyres, a suspension lift programme, and a complete blackout programme making this ranger one of the best in its class! The 3.2 engine pulls like a train in combination with the 6 speed automatic gearbox meaning that this vehicle now has the aggressive stance it always deserved. This vehicle has everything that you would expect from a vehicle of this magnitude. Heated seats, Sat Nav, phone connectivity, rear parking sensors, reversing camera and cruise control. A 2017 '67' plated vehicle that has covered just 15,000 miles from new. Freshly serviced and ready to enjoy for the new lucky owner. 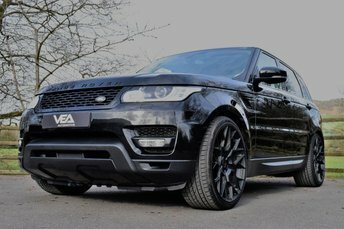 With over 30 years in the motor industry we focus of attention of supplying the finest new and pre-loved distinguished automobiles. 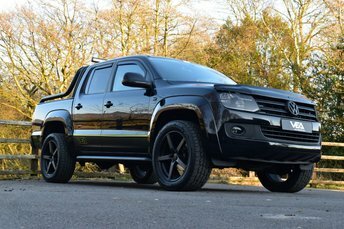 Our in house team of automotive enthusiasts have the ability to deliver a vehicle of your exacting specification; whether that be a bespoke interior, performance upgrade or even a custom paint job. Attention to detail is what sets us apart!